Dr. Peter B. Tacia, O.D. 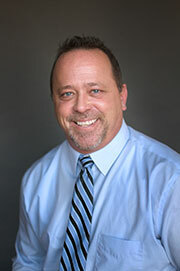 Dr. Peter Tacia received a Bachelor of Science in Biochemistry from Michigan State University in 1985. He went on to obtain a Doctor of Optometry degree from Ferris State University College of Optometry in 1989. Dr. Tacia’s training includes management of diabetic eye diseases, glaucoma, management, contact lens fitting, and pediatric care. Dr. Tacia is a member of the Michigan Optometric Association and the American Optometric Association. Dr. Tacia currently serves as president of the Alma Library Board, is active in the Gratiot County Players both as an actor and volunteer. He enjoys reading, running and biking. Dr. Tacia and his wife Vicki have been married more than 25 years, and have two children. Dr. Tad J. Bartz, O.D. Dr. Bartz graduated from Central Montcalm High School and went on to complete a tool and die apprenticeship to become a journeyman mold maker. He received his Bachelors in Visual Science from Ferris State University and graduated with a Doctorate of Optometry from the Michigan College of Optometry at Ferris State University in 1995. Dr. Bartz completed a hospital based optometric residency at the Veterans Administration Medical Center in Lexington, Kentucky. He joined Dr. Seals, and Dr. Tacia in 1996 when the Mt. Pleasant practice was purchased from Dr. Schall. 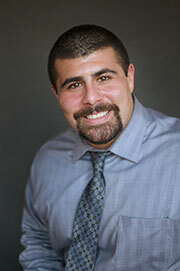 He is a current member of the Michigan Optometric Association as well as the American Optometric Association. Dr. Bartz and his wife have six children between them; 3 boys and 3 girls. He enjoys spending time with his family, hunting and is an avid do­it­yourself handyman. Dr. Garrett W. Whitmore, O.D. 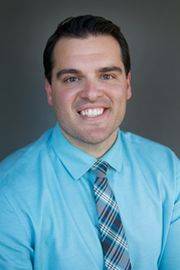 Dr. Garrett Whitmore is an Alma High School graduate who attended Alma College for his undergraduate education where he received a Bachelor of Science in Exercise and Health Science. He went on to receive a Bachelor in Vision Science and a Doctorate of Optometry from Nova Southeastern University in Ft. Lauderdale, Florida, where he graduated with honors. Dr. Whitmore’s training includes pediatrics, geriatrics, contacts and the treatment and management of ocular diseases including diabetes, macular degeneration, glaucoma, cataracts and many more. 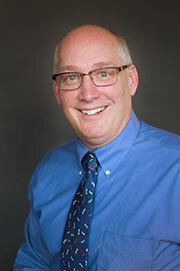 Dr. Whitmore is also a member of the Michigan Optometric Association and the American Optometric Association. He enjoys volunteering his time with his church, getting outside to cycle as well as likes to hunt and fish. When he isn’t doing these activities he is spending time with his family, especially with his sons, Cole and Mack, and his wife, Andi. Dr. Jacob J. Zainea, O.D. Dr. Zainea grew up in Midland and attended Alma College where he graduated with a bachelor’s degree in Exercise and Health Sciences. While at Alma he played football all four years and also participated in competitive powerlifting. After matriculating from Alma College Dr. Zainea moved to Chicago to attend the Illinois College of Optometry. Dr. Zainea’s training in Chicago had a strong focus on treating and managing ocular disease as well as serving kids K12 in the Chicago public school system. His training also included rotations in a pediatric clinic and the Aleda E. Lutz VA Medical Center in Saginaw. When not at work Dr. Zainea enjoys hunting, weightlifting, and taking his dogs to the local parks in Mount Pleasant. Dr. Zainea and his wife Erin are big football fans and regularly attend CMU football games. He and his wife also enjoy spending time up north with family and friends. Dr. Kyle D. Lark, O.D. Dr. Lark was raised in Alma, MI where he graduated from Alma High School before enrolling at Western Michigan University. During his time as a Bronco, he was a member of the football team and received a Bachelor of Science in Biomedical Sciences. He completed his doctorate at the Michigan College of Optometry at Ferris State University. Dr. Lark is a member of the Michigan Optometric Association and the American Optometric Association. Dr. Lark continued his optometric training at the Battle Creek VA and with Seals, Tacia, Bartz, Zainea, Whitmore before joining the practice in the spring of 2018. 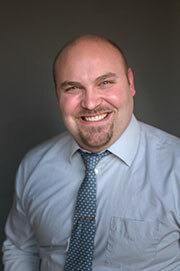 Dr. Lark practices full-scope optometry with a special interest in pediatrics and vision therapy. Dr. Lark and his wife Megan enjoy attending sporting events, traveling, and spending time with family and friends.